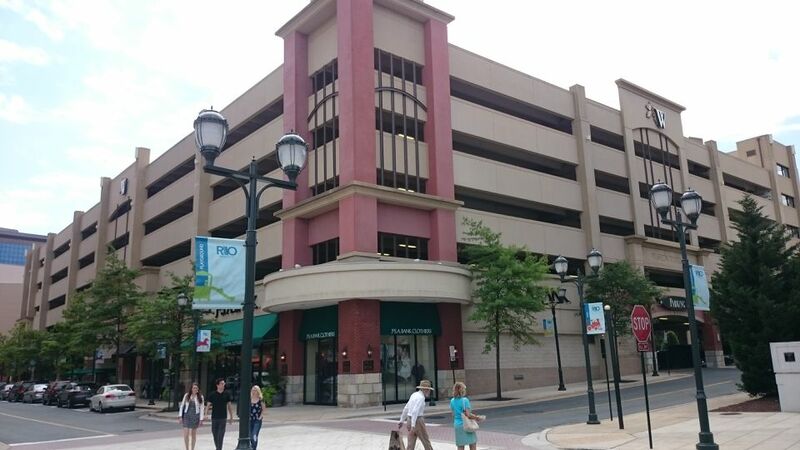 The RIO Washingtonian Center is a pedestrian-friendly shopping center and entertainment complex set on a small lake in Gaithersburg, Maryland. It is a popular place to dine, shop, and stroll along the boardwalk. Visitors can eat alfresco and listen to outdoor musical entertainment during the summer months. A carousel overlooks the lake and boasts authentic details such as Americana-style scenery and 30 Allan Herschell-style jumping horses, whimsical creatures, and two chariots. RIO, the original building, was built in the late 1980s. Washingtonian Center was added in 1998 to expand the variety of shops and restaurants. The complex is home to AMC/Loews RIO Cinemas 18, Washingtonian Paddleboats, Muse Paintbar, and a number of restaurants. You can stay at the complex at the Courtyard by Marriott or Gaithersburg Marriott Washingtonian Center. Events change every few months, but the kind of fun that could be found at the RIO Washingtonian Center in the past includes a Summer on the Lakefront Instagram contest, local band concerts on Saturday nights in the summertime, wine tastings, summer concerts near the paddleboats on the lake, and Zumba classes. It's easy to park at the RIO Washingtonian Center, and that is no small thing. You'll find tons of free spaces in four garages at the complex. There's free Wi-Fi everywhere at the RIO Washingtonian Center, and you can enjoy fun on the lakefront, with its paddleboats, carousel, and Rio Express trackless train. A brand-new neighborhood called Crown, near Washingtonian Center just across from Fields Road is urban-inspired and includes a variety of housing options, parks, shopping, restaurants, grocery store, and a fitness club.